Back the FA Cup sides with Today’s Enhanced Odds as they enter the Fifth Round of the competition this weekend (February 18-20). Premier League is taking a short break, but that’s why you’ve got plenty of action going on in the FA Cup over the coming weekend. 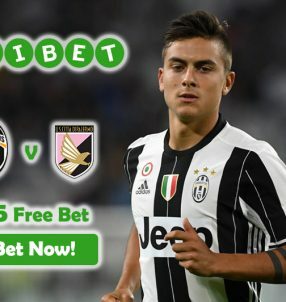 William Hill Sports is once again dishing out lucrative Today’s Enhanced Odds on all the matchups of the Fifth Round in the Cup, which can see you make a killing with the right bets! Five games will be played on Saturday, while another two matches are scheduled for Sunday and the final encounter of the Fifth Round is set for Monday night. Get ready in time to use Today’s Enhanced Odds, as the first game kicks off at 13:30 CET this Saturday, and it will see Burnley receive a visit from Lincoln. William Hill Sports is strongly favouring the hosts of the encounter, and we wouldn’t dispute them on that. Today’s Enhanced Odds for the FA Cup offers specialized markets on each of the matches this weekend, with some games having up to four different betting options. So don’t only look at win/draw/win market, but rather explore your options to get the full value out of Today’s Enhanced Odds. 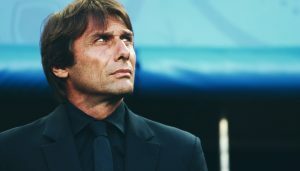 Considering the way they’ve been playing this season under new boss Antonio Conte, Chelsea are the favourites to lift the FA Cup at Wembley this campaign 3/1. Defending champions Man United are fourth favourites 4/1, behind the likes of Man City 7/2 and Arsenal 4/1, but Jose Mourinho still has a long road ahead of him to turn his squad into some special, just like him. 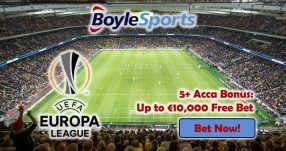 Back your favourite side this weekend in the Fifth Round of the FA Cap with Today’s Enhanced Odds; William Hill Sports offers Enhanced Odds on hottest football action, so make sure to check out what markets you can exploit regularly. 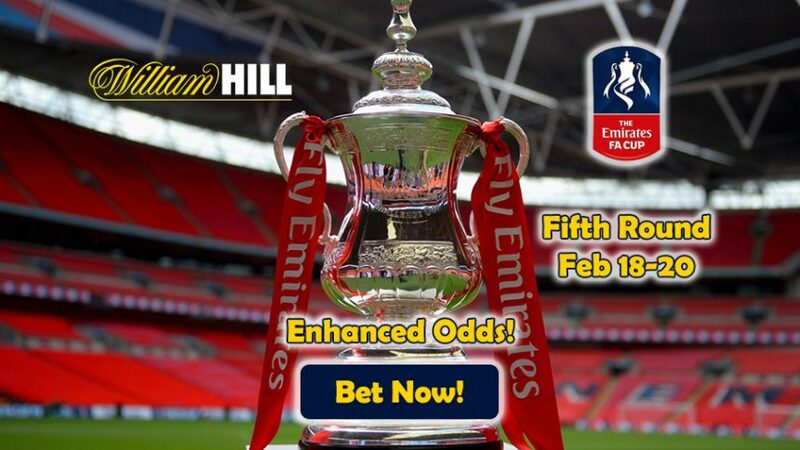 Bet on the Fifth Round of the FA Cup with Today’s Enhanced Odds!